View the latest news about us and look for recent project information. MJ is pleased to be sponsoring and speaking at the NH Department of Transportation & ACEC-NH 20th Annual Technical Transfer Conference. Come and see Jennifer Zorn, AICP present about Virtual Public Involvement at 2:15pm! 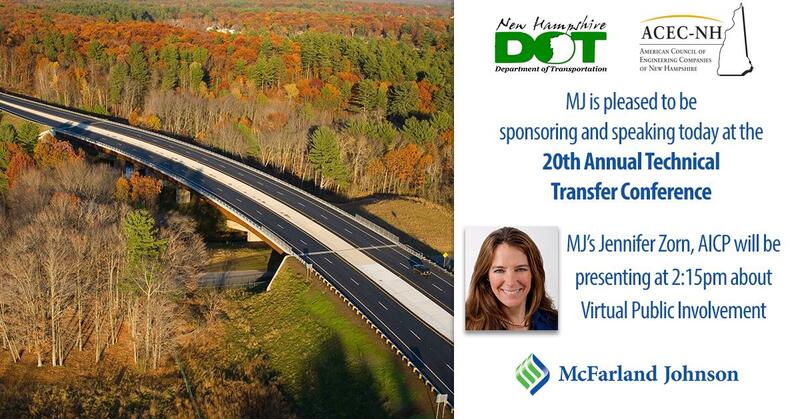 MJ is pleased to be sponsoring and speaking at the State of New Hampshire DOT & ACEC-NH 20th Annual Technical Transfer Conference. Come and see Jennifer Zorn, AICP present about Virtual Public Involvement at 2:15pm! 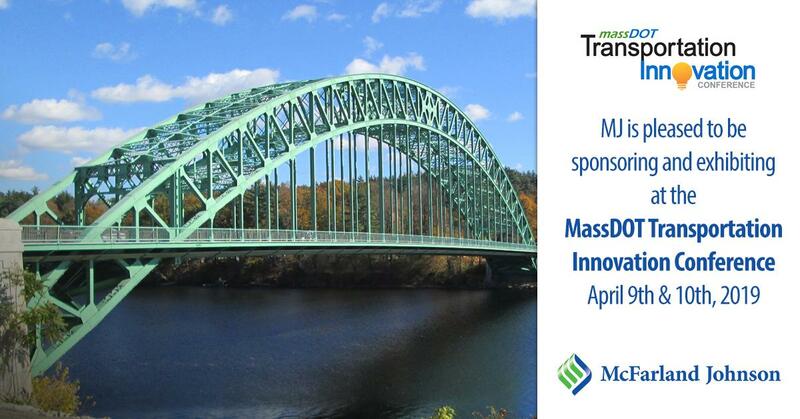 Are you going to be at the MassDOT Transportation Innovation Conference this week? Stop by our booth to learn about our newest technology and design. 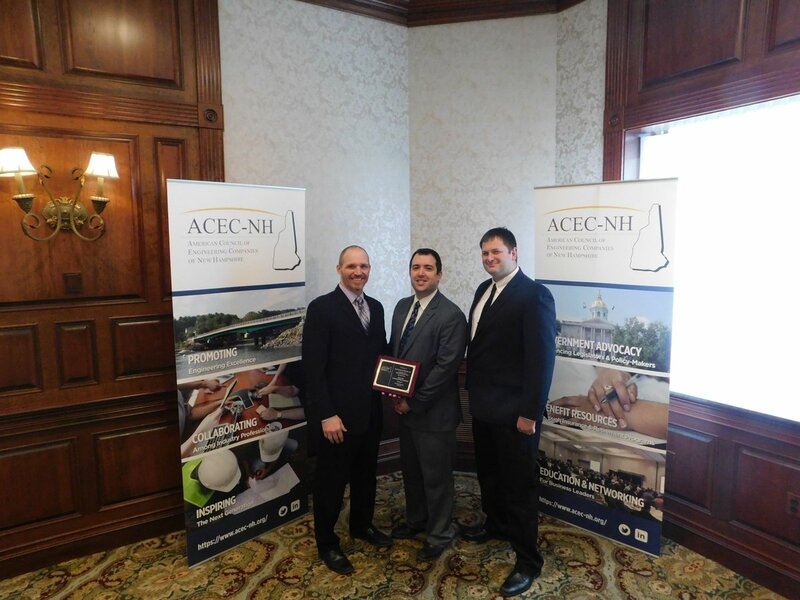 MJ is pleased to announce that our East Kingston Accelerated Bridge Construction (ABC) project achieved "Gold" status in the 2019 ACEC-NH Engineering Excellence Award (EEA) competition. 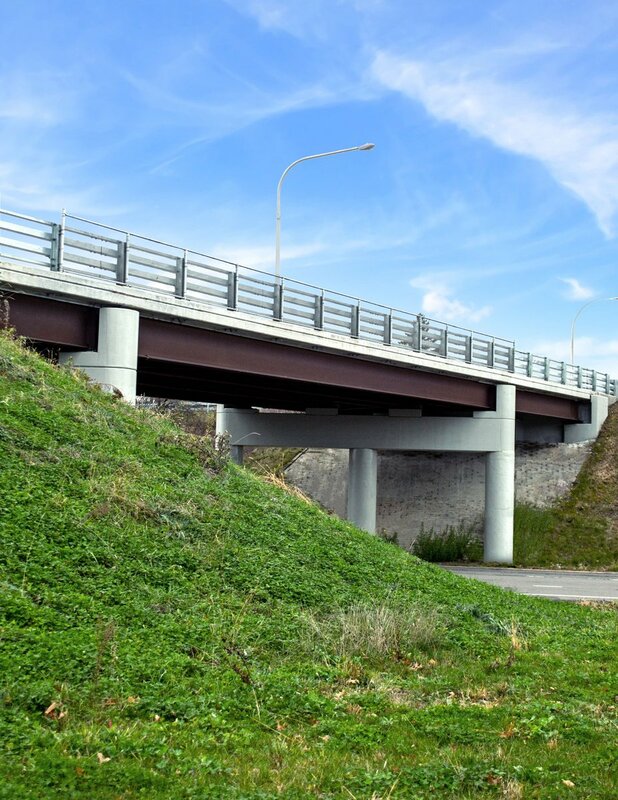 The project included several innovative features, including the first use of Ultra High-Performance Concrete (UHPC) and Prefabricated Bridge Units (PBU's) in New Hampshire. Josh Lund and Sam White accepted the award on behalf of MJ at the EEA Awards Luncheon held on Thursday, March 21st at the Puritan Backroom in Manchester, NH. 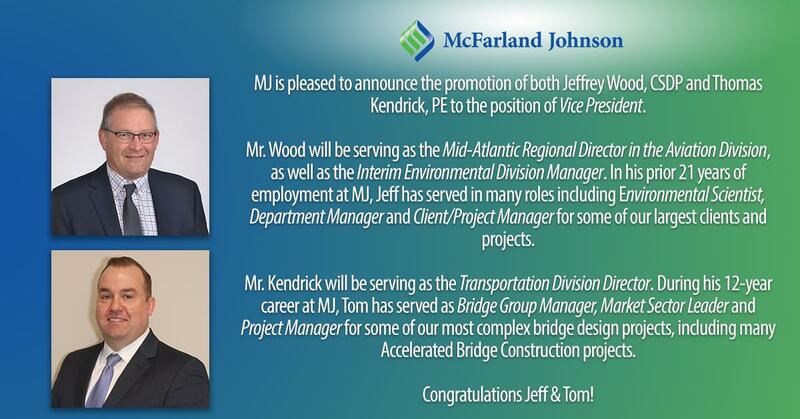 MJ is pleased to announce the promotion of both Jeff Wood, CSDP and Tom Kendrick, PE to Vice President. Congratulations Jeff & Tom! 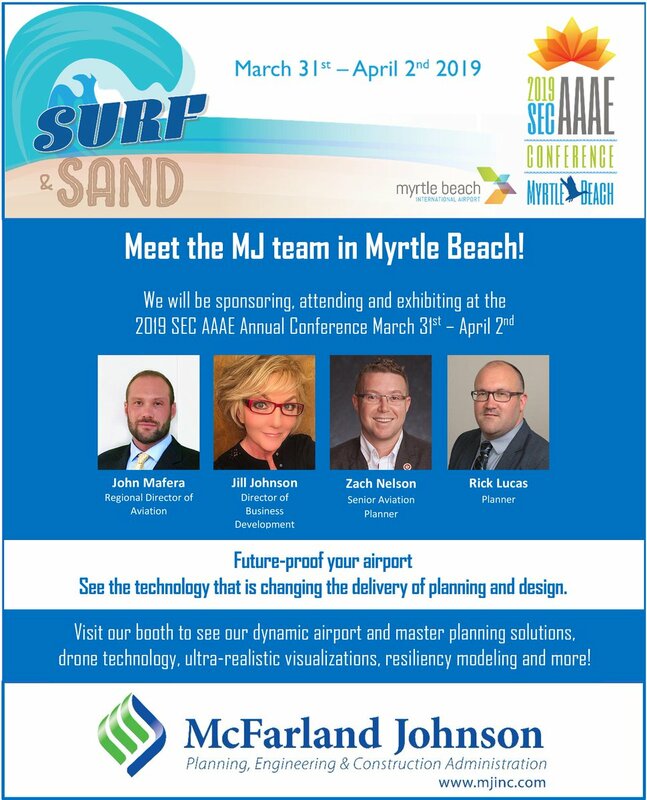 Meet the MJ team in Myrtle Beach, SC! We will be sponsoring, attending and exhibiting at the 2019 SEC AAAE Conference. Visit our booth to see the technology that is changing the delivery of planning and design. MJ will be attending, exhibiting, sponsoring and presenting at the 2019 NEC AAAE - Northeast Chapter American Association of Airport Executives Airports Conference in Hershey, PA this week. 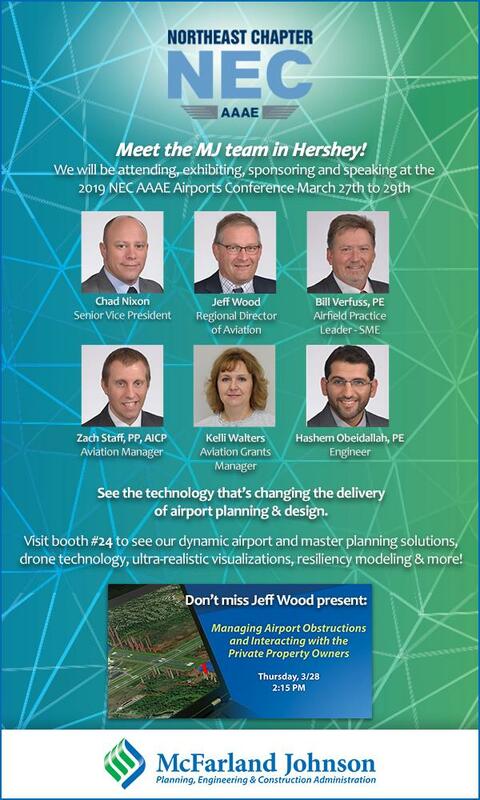 Visit booth #24 to see the technology that's changing the delivery of airport planning and design. Do not miss MJ's Jeff Wood present, "Managing Airport Obstructions and Interacting with the Private Property Owners," on Thursday at 2:15pm. MJ will be attending, exhibiting, sponsoring and presenting at the 2019 NEC AAAE - Northeast Chapter American Association of Airport Executives Airports Conference in Hershey, PA this week. Do not miss MJ's Jeff Wood present on Thursday at 2:15pm. The time is almost here for the NCAA Annual Conference in Pinehurst, NC. 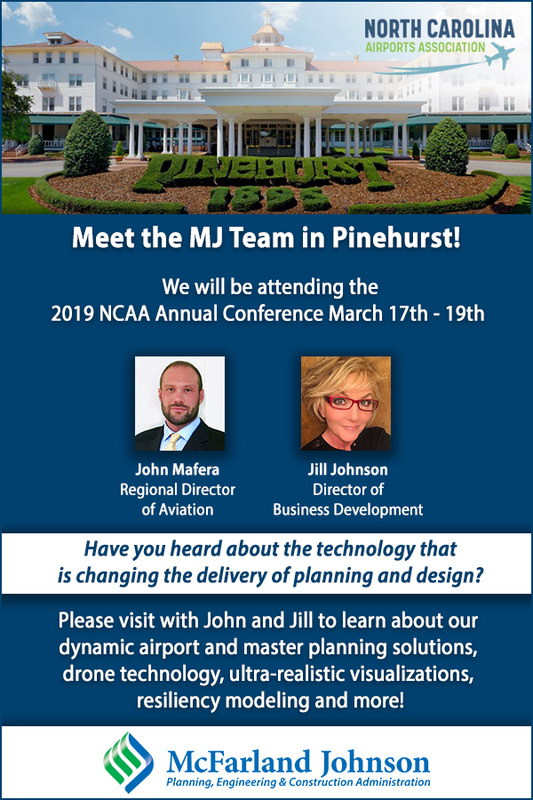 Visit with John and Jill to learn about MJ's dynamic airport and master planning solutions, drone technology, ultra-realistic visualizations, resiliency modeling and more! Join us on Monday, March 18th at 7pm at Dover Middle School to have your opinion heard regarding the Route 108 upgrades. "We want the information from the public to see what their experiences are. The users of the corridor who live there and commute there are the experts. 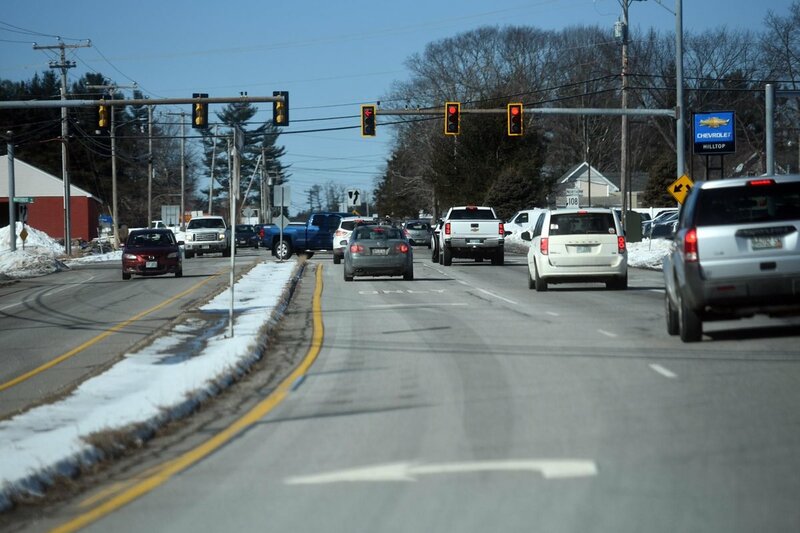 We want to hear from the experts in the community," said Jennifer Zorn, a member of the MJ consulting team assisting NH Department of Transportation. We're Hiring! MJ is seeking a Bridge Engineer for our Saratoga Springs, NY office. Click below to see how you can join our employee owner team. Associate to mid-level engineer needed to join our growing Bridge Engineering practice. This is a full-time, permanent position with opportunity for career growth and advancement. Conceptual view of proposed new bridge structure in Sanford NY. MJ is pleased to announce that the New York Aviation Management Association has chosen our firm as the 2018 Phil Brito Memorial Project of the Year Award Winner for our work on the Plattsburgh International Airport Terminal! McFarland Johnson - Sewalls Falls Bridge Replacement, Concord, NH This project involves the evaluation of the Sewalls Falls Bridge and approach roadway, and developing a new bridge and roadway design. This video documents the demolition of the existing bridge as preparations are made to construct the new bridge. DescriptionThe City of Concord desired an attractive and vibrant Main Street. The Downtown Complete Streets Improvement Project proposes a transformation of Main Street, making it a destination for residents, shoppers, and tourists. The goal of this project is to create a "Complete Street" by making Main Street more attractive with enhanced landscaping and streetscape features, improved accessibility for all users, improved safety through traffic calming, and improved pedestrian and bicycle accommodation, all while maintaining its historic character. The approved layout for Main Street converts its four lanes into two lanes with a traversable layout center median, providing shared lanes for cars and bicycles. Also included are widened sidewalks with landscaping features, seating, and lighting, as well as parking on both sides of the street. MJ guided an extensive public outreach program that included several public meetings to engage citizens in design development and several presentations to the Concord City Council for approval. A project specific website and Facebook page were developed by MJ to ensure all interested parties had accurate and current project information. 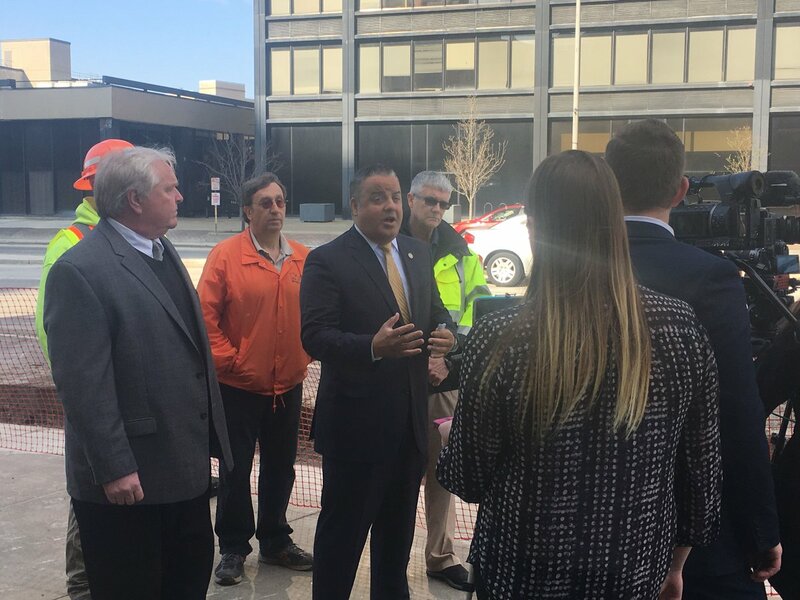 This project also included construction management, including attending weekly project meetings and ensuring that proper federal requirements were followed and documentation was submitted. MJ created this traffic simulation to model the way traffic would flow through the proposed roundabout on Winchester St. in Keene, NH. McFarland Johnson Introduces a Revolutionary Approach to Aviation Planning: Our Dynamic Analysis Tool introduces flexibility to the traditional master planning process and provides airports with enhanced planning capabilities in a world of high variability in the aviation industry and the overall economy. With just a few clicks of this airport-specific computer model, the user is able to adjust variables and analyze a variety of future scenarios. The user-friendly Dynamic Analysis Tool keeps the airport Master Plan flexible and takes advantage of potential new air service, expanded general aviation activity, economic development opportunities and even model potential market turns. The tool provides easy-to-read diagrams, charts, and data such as cost per enplanement, incremental revenue, and facility requirement summaries that will better help airports plan for the future and maximize the value of their planning projects. McFarland Johnson is thankful for the success we've received in the past year and would like to take a moment to wish you and yours a happy Thanksgiving.